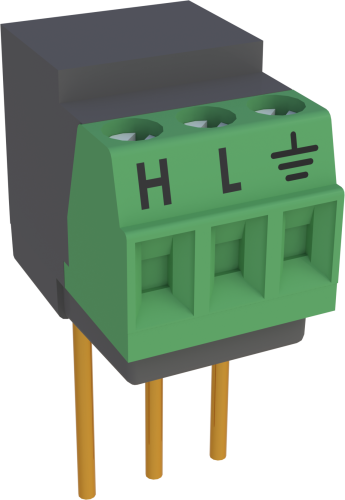 The 4WHB10K provides the completion resistor required for 4-wire half-bridge measurements. This module should be used with sensors that have a 10 kΩ resistance. The 4WHB10K uses two sequential differential analog inputs; the first differential channel must have an adjacent analog ground channel to accept the "ground prong" of the 4WHB10K. Not all data logger terminal strips have this sequence on all channels, so please check your data logger's wiring panel to confirm channel assignments, especially if you plan to use multiple Terminal Input Modules. The 4WHB10K is measured either with CRBasic's BrHalf4W Instruction or Edlog's Instruction 9 (Full-Bridge with Excitation Compensation). 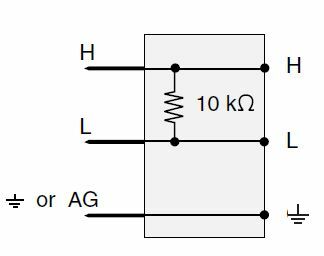 If there is no manual for the 4WHB10K, where is there information about four-wire half-bridge measurements? 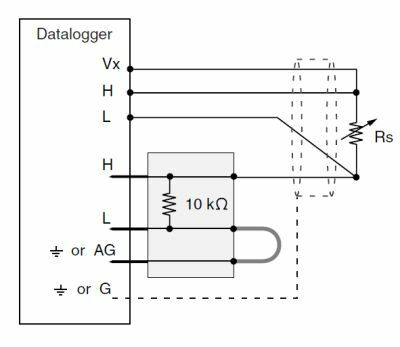 For more information, refer to the “PRT in 4 Wire Half Bridge” section in the 4WPB100, 4WPB1K PRT Bridge Terminal Input Modules Instruction Manual. Figure 2-1 in the manual provides a circuit schematic.